Nice! 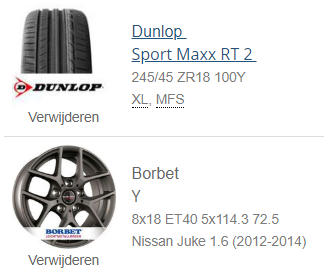 What's the info/details on the rest: offsets, tire size? Not really "aftermarket", but got bored and had a few days off from work so decided to give "Superwrap" a try. 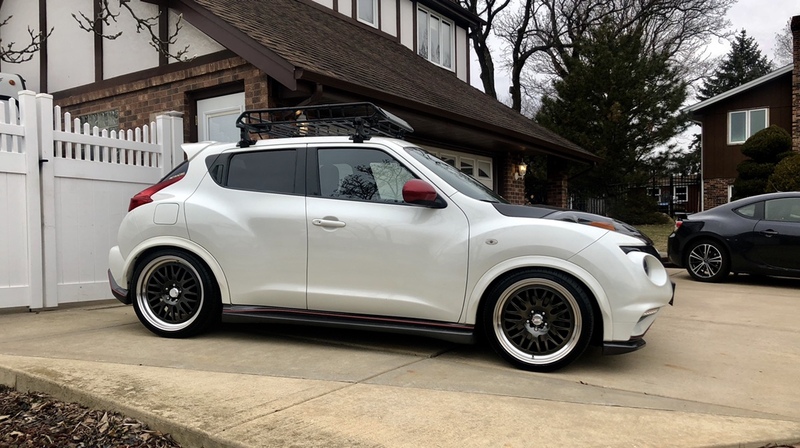 Came out a lot better than I expected but this is temporary till I pick out a set of wheels...Gold RPF1s (18x8 +40) are the #1 choice right now. This is the wife's car and she likes it, so I'm happy. 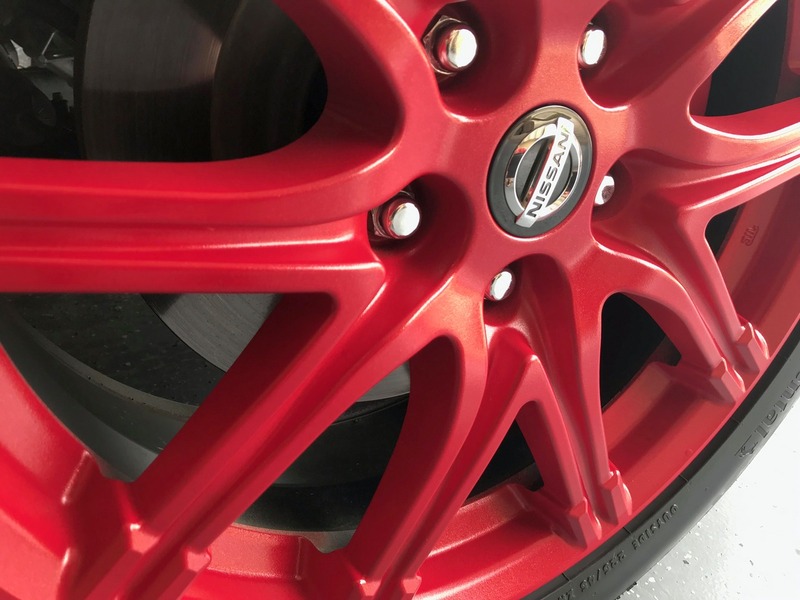 The color is Monza Red from their "Liquid Metallic" line. Oh cool. 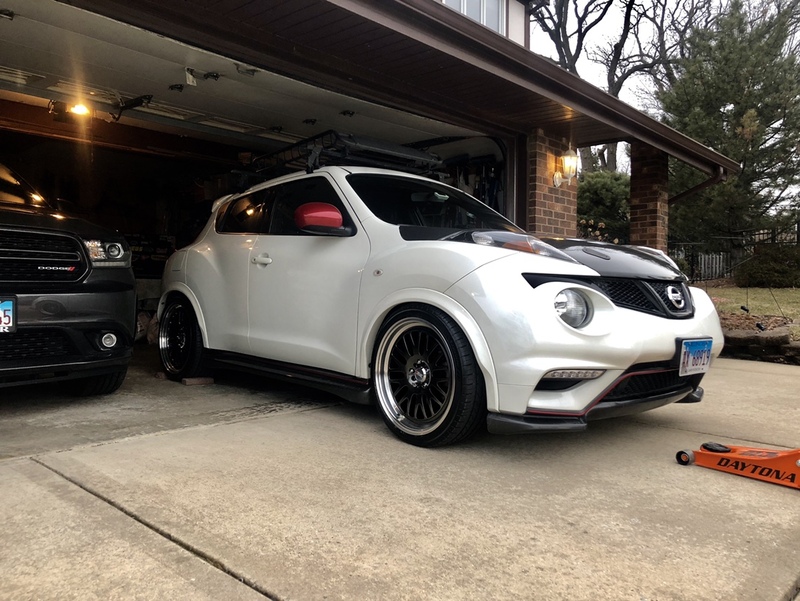 These are the first I have seen Nismo wheels re-done. Well done !!! Damn that is cool. 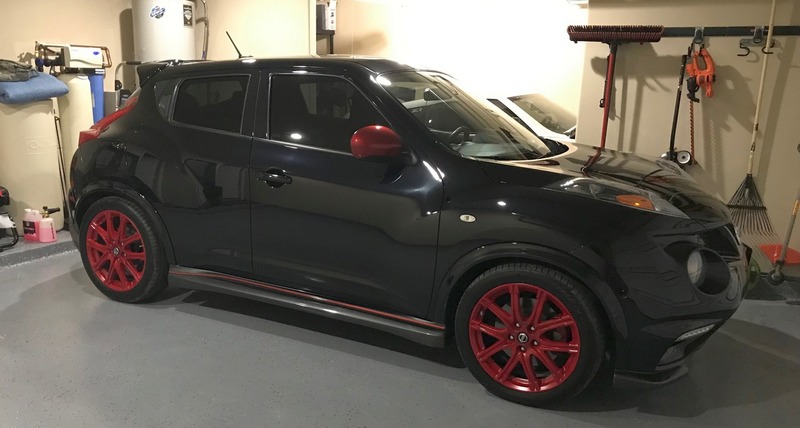 One of the nicer Nismo red creative touches I've seen. Its a Good look all around. 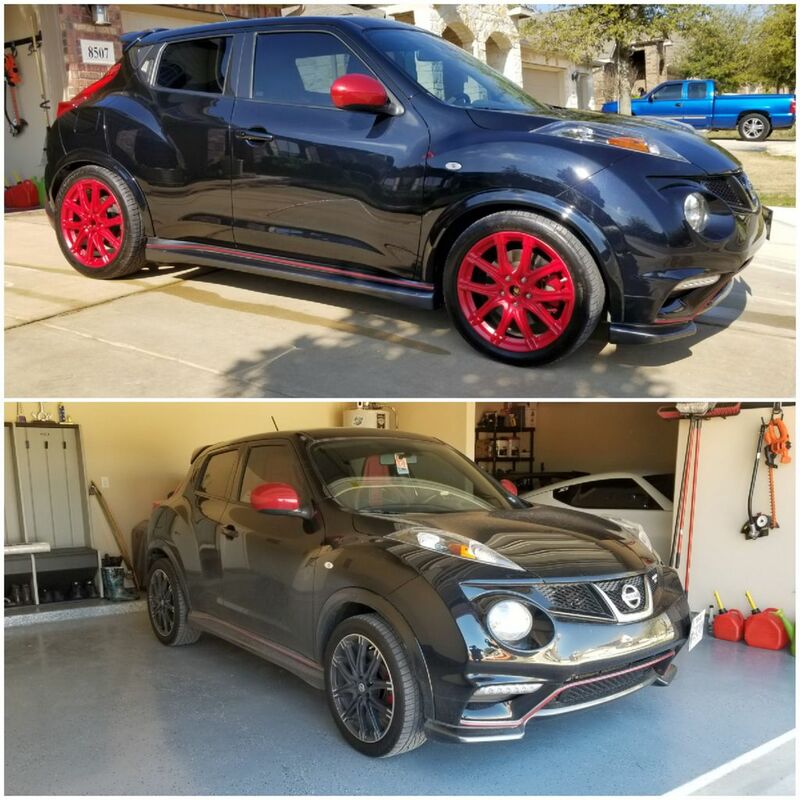 The Juke is very easy to change the looks. 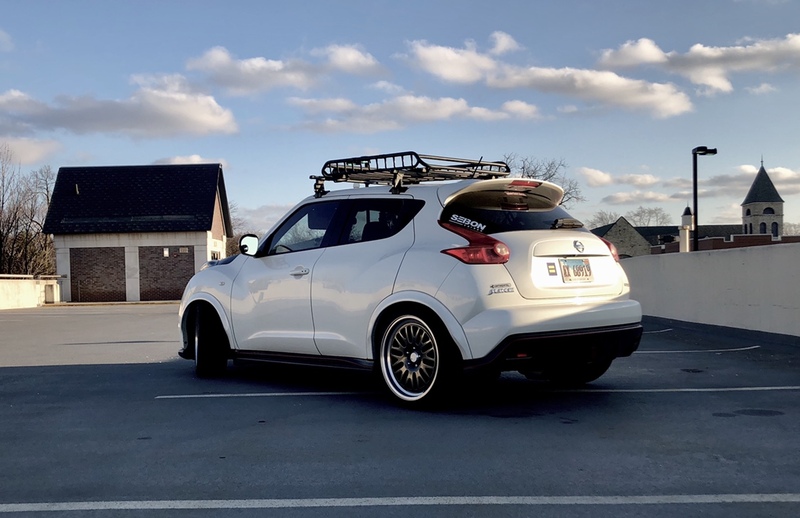 From Slammed to Lifted. It pulls it off well. 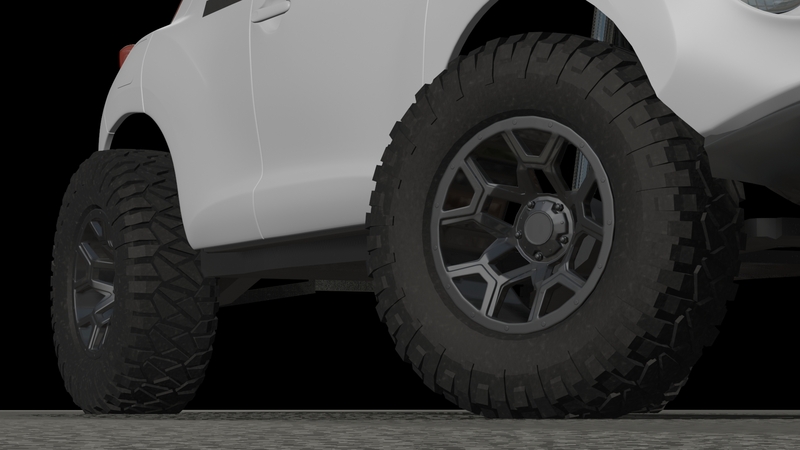 A wheel and tire combo that would put some Jeeps to shame. 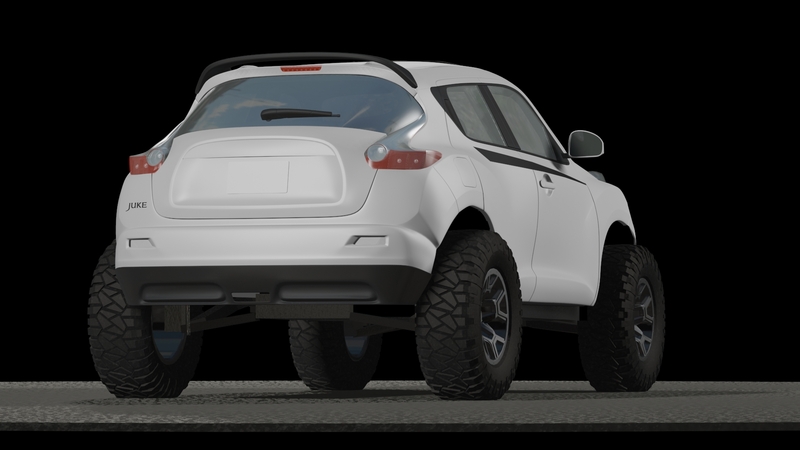 My brainchild to fit the largest tire on a stock frame Juke. Why? 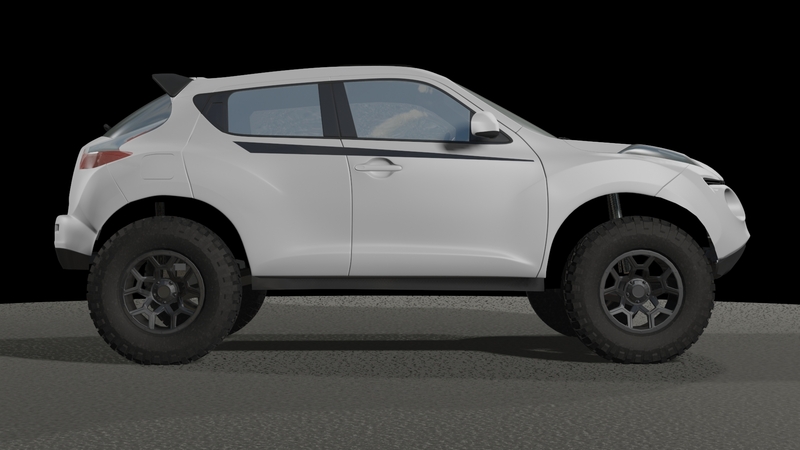 Well nobody asked for it, but have you seen these renders? It looks absolutely ridiculous and I love it. Looks awesome. But yeah the CV's will take a huge hit. Will 16" Steel Wheels fit (for winter tires)? 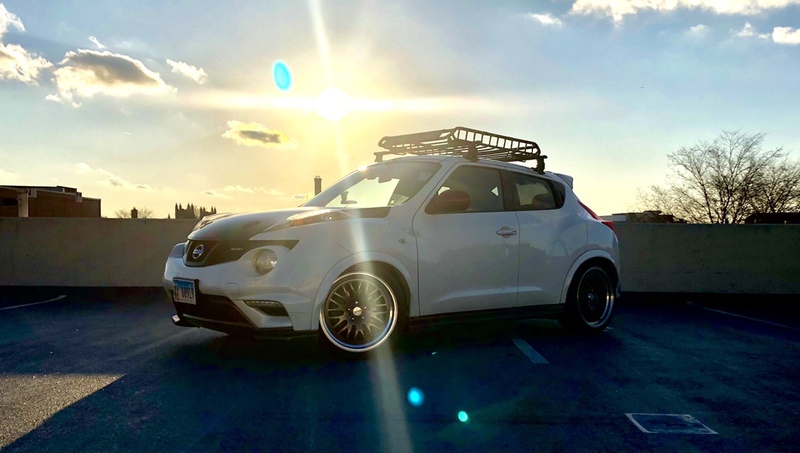 stock tires on aftermarket rims fit? 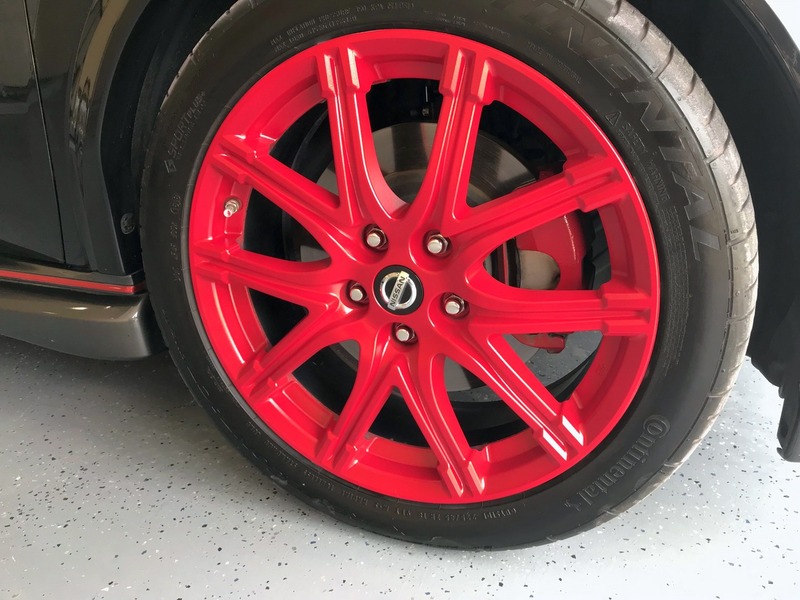 Aftermarket wheels on wheelsnext.com: what do you think?